Perhaps the only thing harder than imagining a two-dimensional organism is trying to take a representative photograph of one. 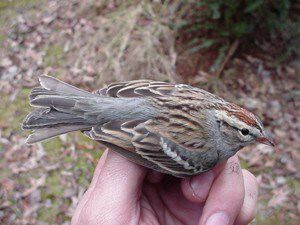 There aren't really any organisms that occupy only two dimensions, of course, since even at the microscopic level all of them have length, breadth, and depth. 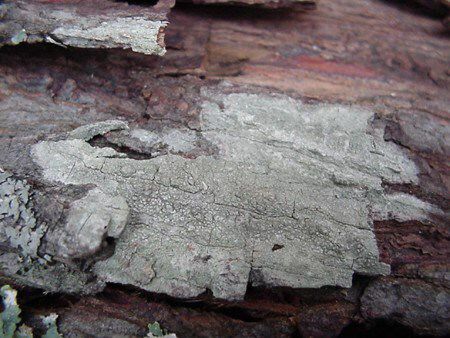 Nonetheless, one group of living things that comes close to being two-dimensional is the crustose lichens--an assortment of common but often-overlooked organisms that form incredibly thin sheets on tree trunks and rocks. Lichens are amazing organisms anyway: they are actually a pairing of a fungus and an alga (usually a green or blue-green species). The fungus provides moisture and shelter, while the alga photosynthesizes and produces food in the form of simple sugars; the fungus also may absorb minerals from the environment. This close relationship benefits both alga and fungus, so it's called "mutualistic symbiosis." 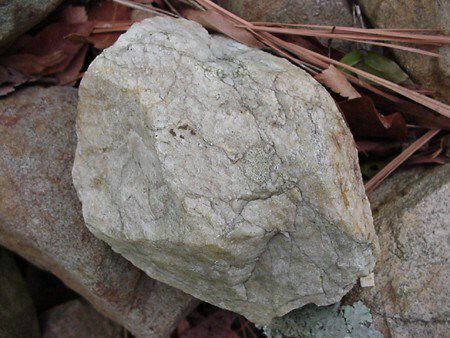 Although there are three major forms of lichens, the crustose types are perhaps the most important, for some are able to grow on bare rocks. 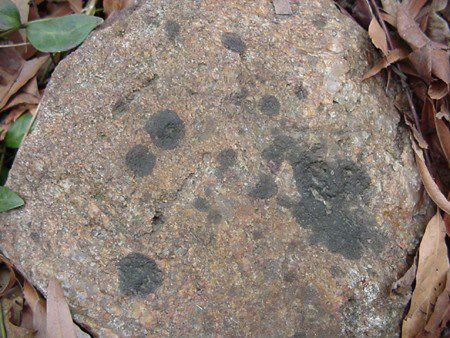 As the lichen's fungal component produces chemicals that break down the rocks and release their minerals, a tiny portion of each rock is turned into granular soil. 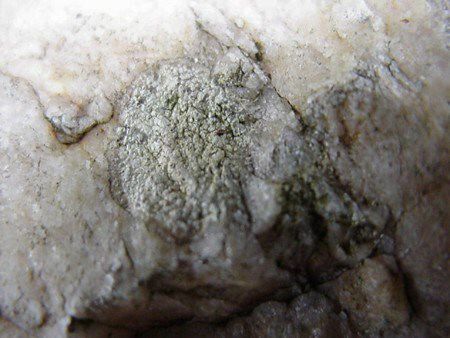 Through the years (or even decades or centuries), crustose lichens continue their work and--with the aid of climatic conditions--produce a layer of soil that is eventually thick enough to support mosses or ferns or even higher plants. 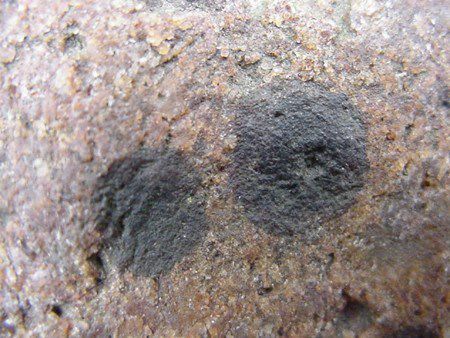 Thus, crustose lichens are true "pioneer" organisms that can grow where other plants can't. 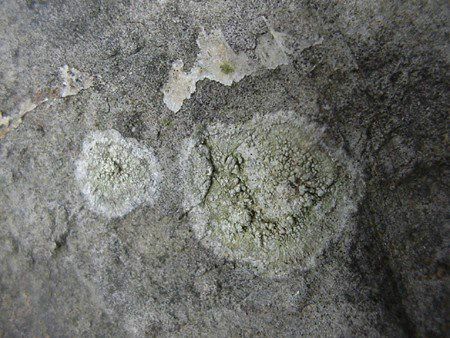 Even though the algae in crustose lichens contain chlorophyll, at the macroscopic level the lichens themselves often appear gray, white, black, or sometimes bright fluorescent yellow or orange. 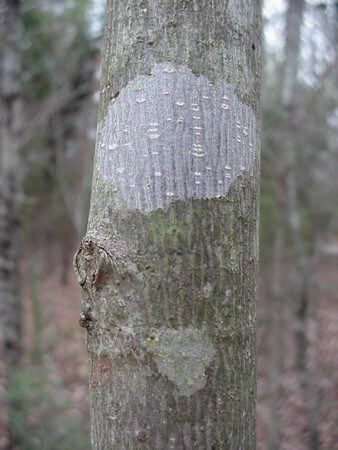 Many kinds of crustose lichens occur only on rocks or mineral soil, but they are also common on older branches and trunks of trees (see photo above). 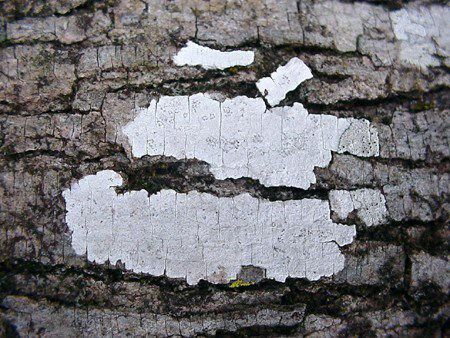 In fact, some trees host such a diversity of crustose lichens that the true color of the bark is masked by a patchwork of lichen growth. (Sometimes a crustose lichen looks for all the world like someone anointed a tree trunk with spray paint.) 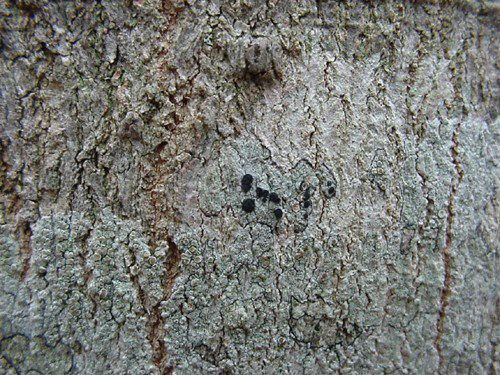 It often takes a hand lens to be sure that color patches on a tree are crustose lichens; one tell-tale sign is a scattering of very tiny bumps--fruiting bodies that eventually give rise to new lichens. 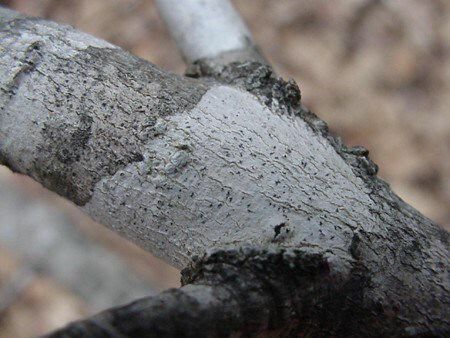 Because crustose lichens are micro-thin, it really IS difficult to represent them well in photographs. Regardless, we're offering a gallery of crustose lichen portraits that were taken this week at Hilton Pond Center. 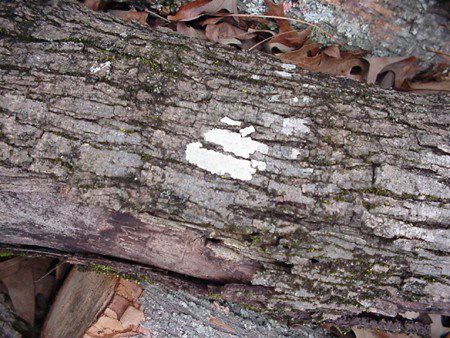 It's winter, but the lichens are still working away, decomposing organic matter in tree bark or turning rocks into soil in super . . . slow . . . motion . . . .